On August 14th we went to stay in Usuki for the weekend …… actually, not Usuki but 深江　or to be correct, おろば！We went swimming in the sea – a greatr way to cool down, then had a barbecue in the garden. 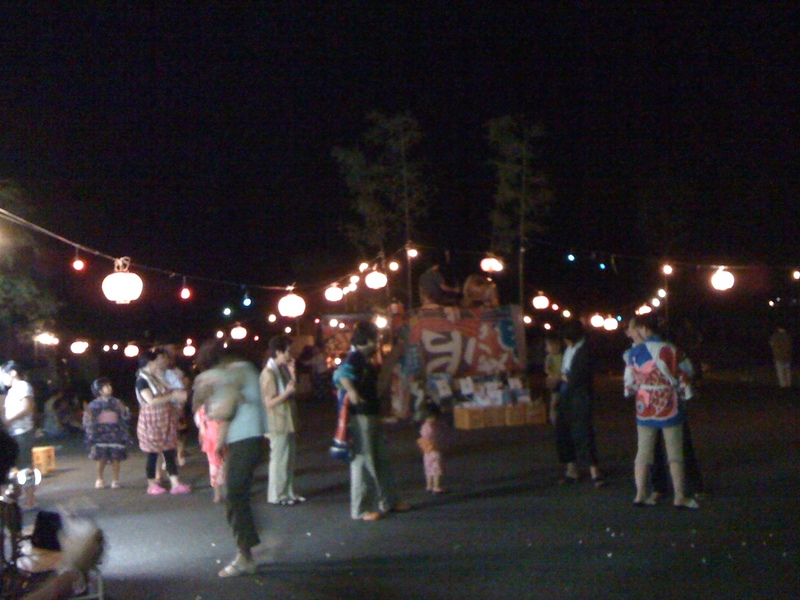 After that we got ready and went to the local Bon Odori (in はっそ　not おろば …….. only a 5 minute walk though!). At the festival there was a tent with popcorn, beer, candy floss and かき氷。 When I tried to buy a beer, I was told everything was free!!!!!!!!! After a few beers for courage, I joined in the dancing (quite tricky at first). Then, at the end of the festival there was a free raffle, and Hana won a CD player!! Looking forward to O-Bon next year!